Here I will compares 99designs vs LogoDesignGuru for your business logo creation. In the past, entrepreneurs who wanted a new logo design for their startup had to go through the difficult process of finding a graphic artist and then being limited to only a few design ideas. The process was slow, not efficient, and often frustrating. Crowdsourcing logo ideas are great for beginner entrepreneurs with limited budgets who want to get started fast and get a great brand look for their new company. Instead of working with a single artist you work with many creative professionals who submit ideas for your review and acceptance. The reasons that I recommend new companies use these types of logo design sites is both a combination of ease, convenience and selection of designs. Video Series: Come tag along as I purchase a new logo for this website. 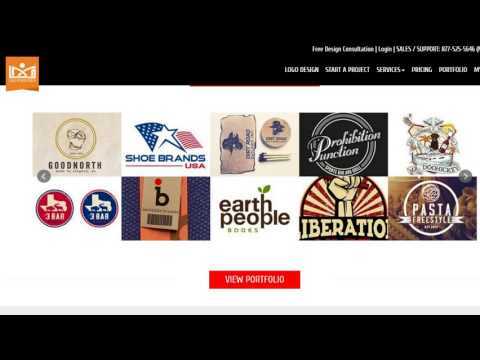 In this watch and learn video series review of 99 designs logos. My very 1st impression of logo design guru was that their logo was awful! It was fuzzy, unreadable and ugly and confusing. Compared to the slick, attractive and brand building, logo of 99 designs, the other one was a dog! I almost thought of stopping the review right here because if a company is selling a product and their version of that product is poor – Why would you purchase from them? It’s like going to a home builder you are considering to construct your house and their office is falling down. However, I promised you a full review so I will continue. This site differs because it is not a genuine crowdsource graphic design contest, it is a graphic design agency. Because of this, the design ideas are not as varied nor as creative as a real design competition can be. Additionally, once you remove the crowdsource business model you no longer have a competitive nature that inspires graphic designers to show their best designs to you to win the contest and the cash prize. I see that evident when I compare the samples between the two design companies. Logo design guru designs are amateurish and overworked. See the comparison below where some of the logos would be unusable in many instances, such as imprinting, banners and product labels because of the intricacy of illustration and reliance on color instead of design to communicate graphically. Compare the 99 designs logos, which are very professional, corporate level quality and specially designed for the real business world usage and are shown in various uses such as book covers, packaging labels, websites, and signage. Both websites offer a money back guarantee if you are not happy with your designs. 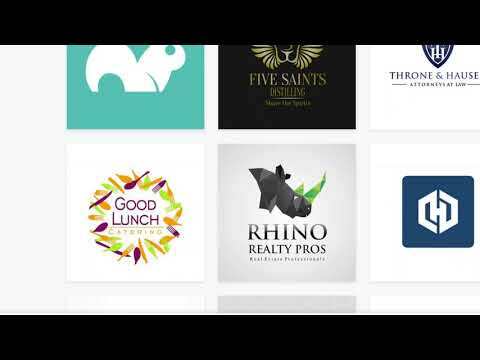 If you start by choosing the right firm, like I did when I ordered the new logo for this website – watch the video series of my step-by-step logo design order process at 99 designs, you will love your new look. Comparing the two websites shows that 99designs has worked hard to make the browsing, ordering, and selection of your final logo as easy as possible. Their clean open design is intuitive to use. I loved the features of Polling, which allowed me to send some of the final logos for consideration to my team and they can vote and comment. The other site, Logo Design Guru was clunky and confusing. Also, they tried to trick me by saying the price was $199. However, that did not include their 20% so the total was actually $238.80. This tricky gave me a bad feeling about their company. If they tried to con me now would they fraud me later? It was a slimy sales technique that smacks of desperation and ill will. Another big plus off 99designs is there fun design brief process where you click color swatches and see actual designs to vote up or down. As a visual person, this made it so much easier to tell the designers my preferences. See this feature in action on this video But in logo design guru it was just a wonky old-fashioned text form with no colors and no assistance of samples to review. Video: Watch as I complete the design brief when I order the new site logo for this blog on 99designs. My review of logo design guru vs 99designs concludes that 99designs are the winner of your logo design project.